Dell wanted a clever business development vehicle to target prospects and increase brand awareness on an international level. Knowing that standard print mailers often get thrown away before they are ever looked at, Dell was seeking an innovative design with high pass-along value. 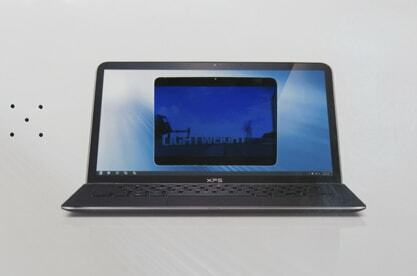 Dell and its agency, MediaCom, turned to Americhip to produce a sleek desktop display that featured our 2.4" VIP screen creatively simulating an actual laptop. Americhip worked with the brand to produce the display in German, French and English to promote a consistent look internationally. 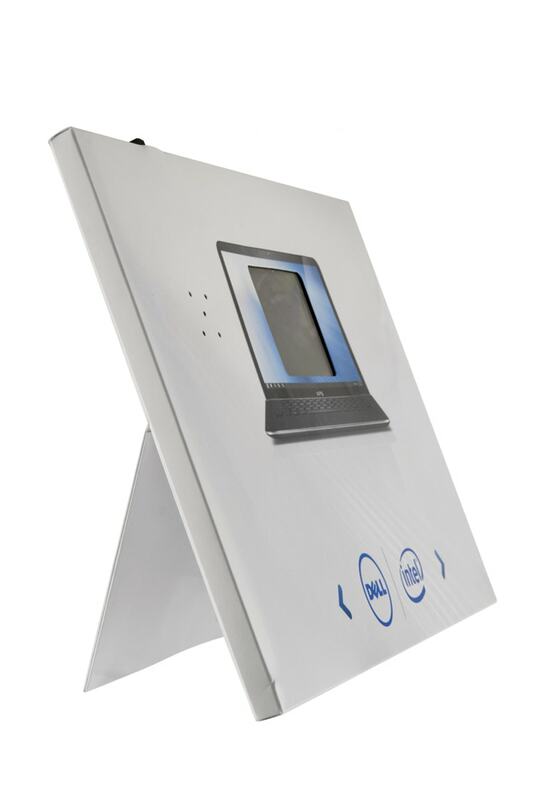 The display included a convenient easel-back that allowed the unit to lay flat or be propped up for optimal hands free viewing. The video highlighted iconic CEO, Michael Dell, sharing his vision for the company and expressing his commitment to innovation and tech development. 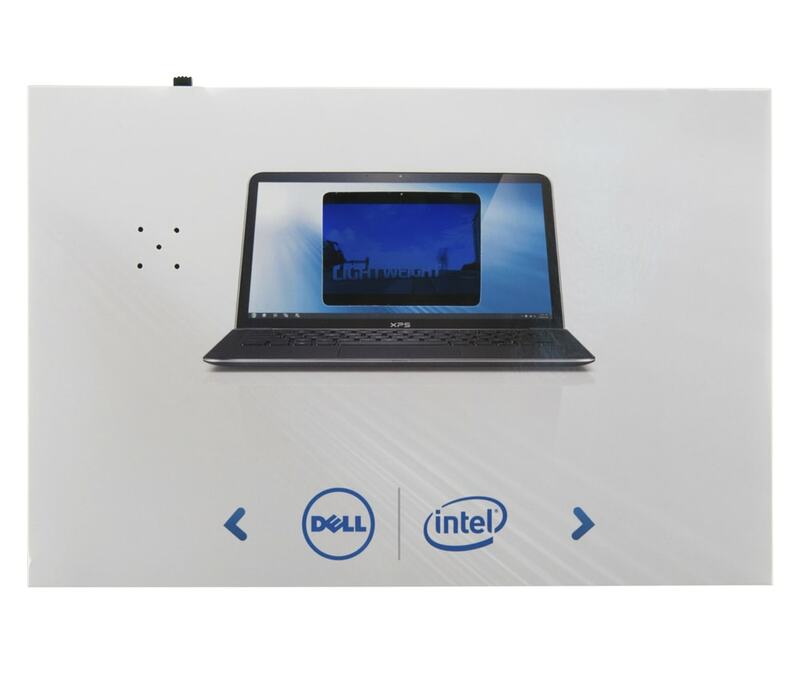 The video desktop display performed so well that Dell reordered just 30 days after the initial mailing landed.